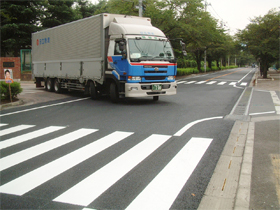 The POROUS MODE construction method is a surface strengthening (top coat) construction method for porous asphalt paving. POROUS MODE is a MMA-type two-stage hardening type resin. 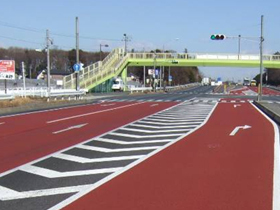 By sprinkling it on the surface of porous asphalt paving, the scattering of aggregates and clogging will be inhibited. The scattering of aggregate in porous asphalt paving will be inhibited. The clogging of porous asphalt paving will be inhibited. The addition of colored toners allows colors to be freely applied.